Our drive to Ostrom Avenue and Thornden Park is an annual summer must. 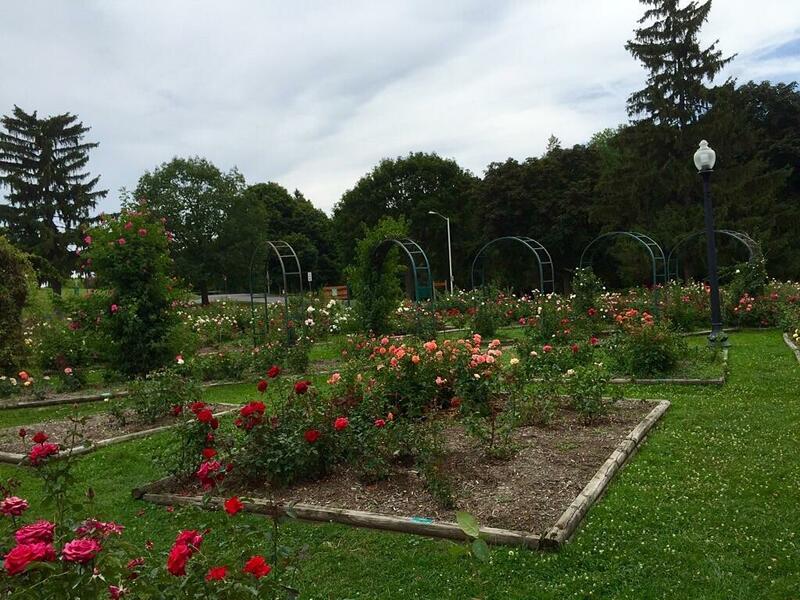 This year in particular, we longed for the beauty of the E.M. Mills Rose Garden. After the winter we were dealt in Eastwood -- you haven't totally forgotten the chill and snow pack that hung around from New Year's through March, have you? -- our half-dozen bushes split between the front and back garden have yielded exactly two meager blooms. Looking grand in Thornden Park. Last Saturday we strolled, we wandered, we marveled. Many of the more than 3,500 rose bushes on the grounds were into their second bloom of the season. Yes, maybe the harsh winter had its damper on this gem of Syracuse as well, my dear wife Karen and I suspected as we tried to remember visits past. But it sure does still look and smell great. 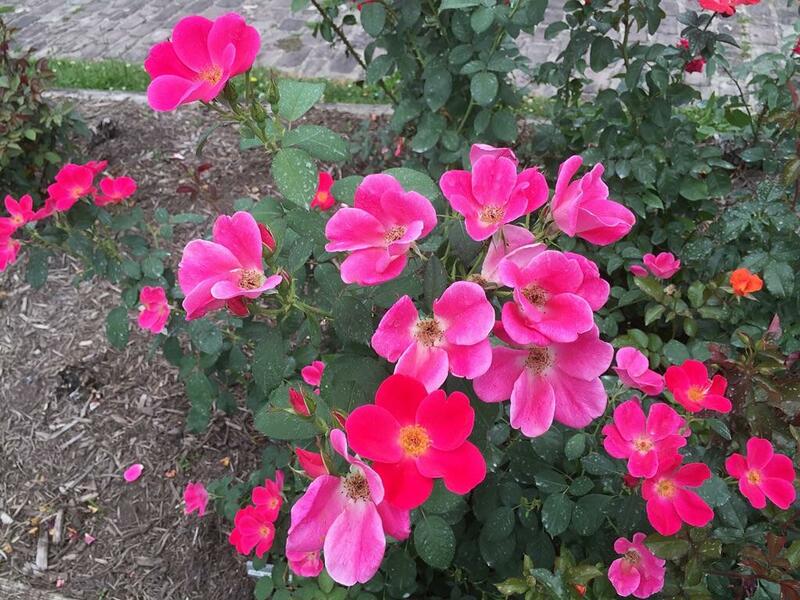 "Two straight hard winters, for roses, anyway," agreed Syracuse Rose Society volunteer Fran Piraino during a conversation Wednesday about the Thornden Park grounds. "The climbers took the brunt of it. Marilyn Monroe took some hits too." She's talking about the variety of rose named for the famous glamorous actress, of course. The Marilyn Monroe, still holding on. "There's definitely some open spaces in some of the beds. But it's not just the harsh winter," Piraino said. "We're fighting a lot of weeds this year, too. The weeds have been driving everybody crazy." The we of which she speaks are the volunteers of the society who show up from 8 a.m. to noon every Wednesday to tend to the garden and talk to members of the public who may be there with questions. There are more than 200 rose lovers on the books as members, Piraino said, but not all are active in all of its activities. "About 20 to 25 show up to work on Wednesdays," she says. "There are new people this year, too, which has been great." Their mission, she says, is to "make the grounds hospitable." And to keep the roses looking fabulous, of course. After the first bloom in June, they cut them back, so certain species -- many, except for the old-bloom in the back corner and the climbers, which are "one-shot deals," she says -- can bloom again in August and September. "This has been a very colorful summer," Piraino says. 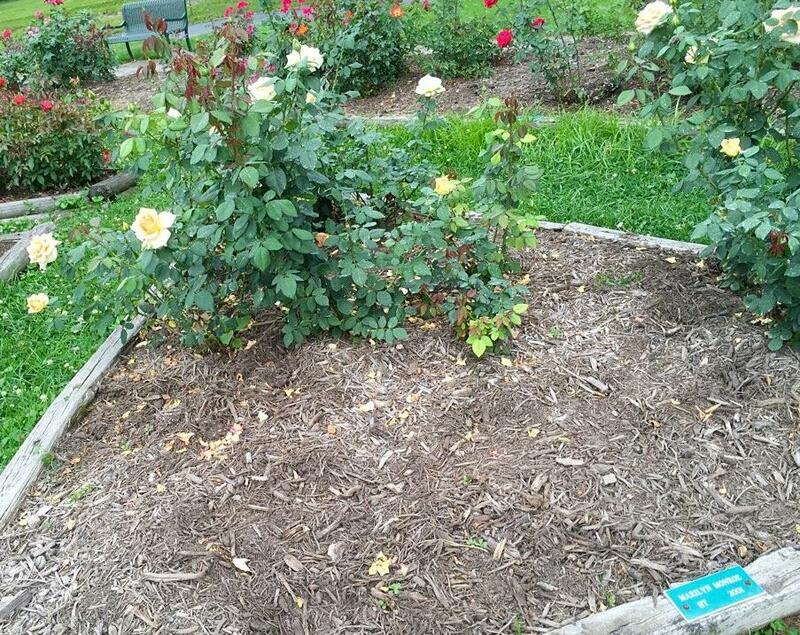 Visitors will notice that the rose beds are each labeled with green signs that declare that plant's species name and year of origin. Piraino said the years do not mean the particular plant you are looking at has been around that long, correcting my incredulous assumption. "No, that's easy to think," she said. "It means that's the year the variety was established and appreciated." 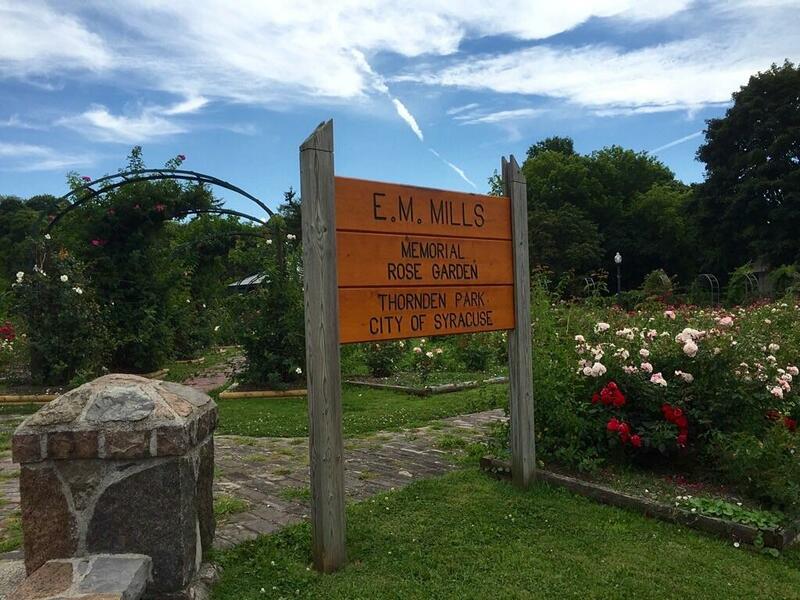 Piraino said the roses in the E.M. Mills Rose Garden look better than the ones in her home garden, too. Best environment for the roses. "They make sure the Ph in the soil is perfect. They put in new plants every season to replace those not doing so well," she said. "Sometimes Mother Nature takes control, and they do their best to make up for it. "I just dig in the dirt," she says with a laugh. Rose lovers can see champions in many varieties on Aug. 29 at the Rose Show as part of the State Fair. The society will have a booth, with volunteers ready to answer questions about growing the best roses where you live. Such as Piraino's tip for tough winters: "Sometimes you have to give them tough love," she says. "Cut them way back. Take a hit for a year so they come back strong. Sometimes that's what you have to do." You can find more of my photos from our time at Thornden Park plus a look at our tiny Eastwood blooms here at my blog, markbialczak.com.